Shure SE846, Fiio X1 Dap and Fiio E12 amplifier rig - Photo by Dan Walsh. The headphones are Shure SE846. 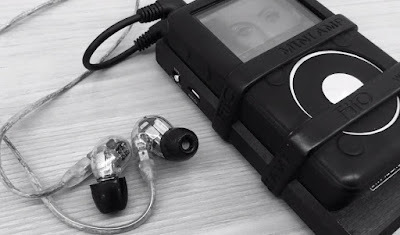 The player is a Fiio X1 Dap coupled with a Fiio E12 portable amplifier. Photo and gear by Dan Walsh.